For Veronica magazine, I made a so-called "Splash panel" at the beginning of each new story, comic jargon for a plate that “throws the reader off the deep end with a splash right away”. An exciting or interesting plate that shows a distinctive highlight from the story. 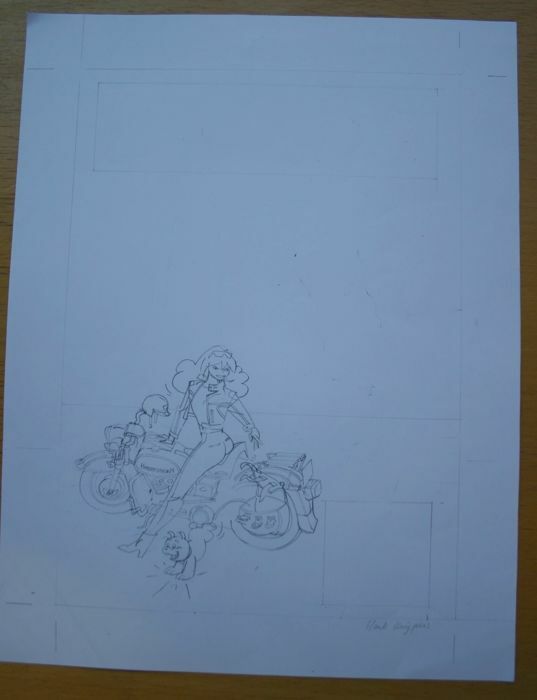 Because KIDNAP starts in Antwerp, Franka stops her motorbike in this pencil sketch. The scene was to be the Groenplaats, near the cathedral. 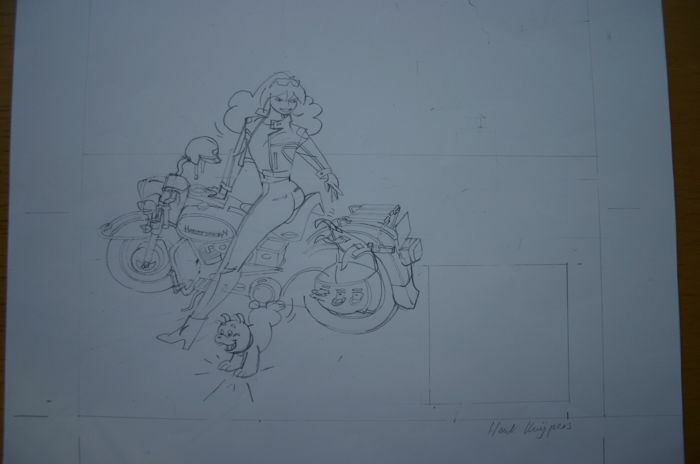 It was also made that way, this first version shows a beautiful Franka on her Harley. 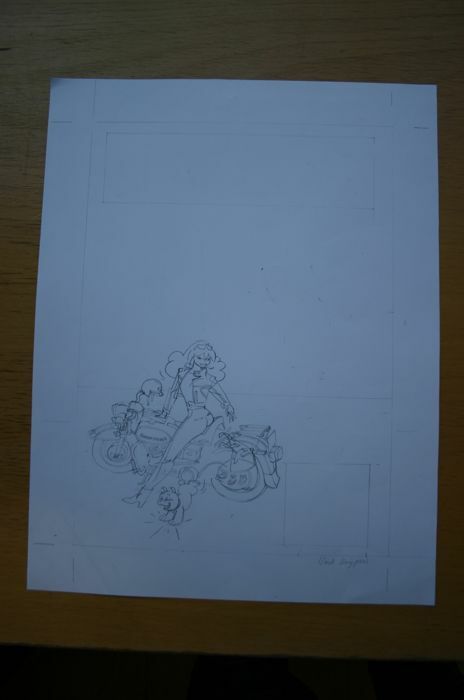 Drawing: pencil on drawing paper, signed, 43x32 cm.